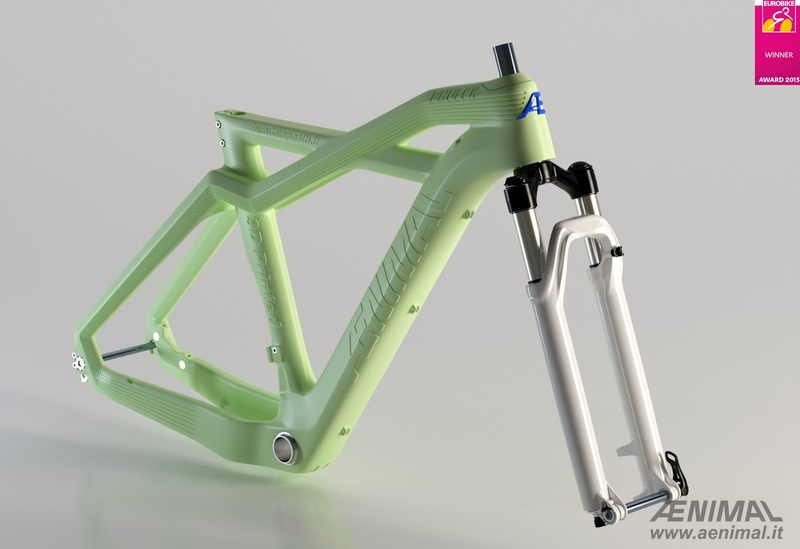 The Padua-based design studio Eurocompositi has developed an amazing 3D printed PLA ‘Aenimal Bhulk’ mountain bike frame capable of being ridden, and have on the Eurobike Gold award for their efforts. The inventor’s big challenge was to use new and highly technological materials like PLA, make the design according to the special material characteristics and produce a frame that is stiff and usable. The applied 3D printing process consists in a fused filament deposition by a special CNC machine, able to make very complex objects without shape limits that are typical of the standard moulding process. 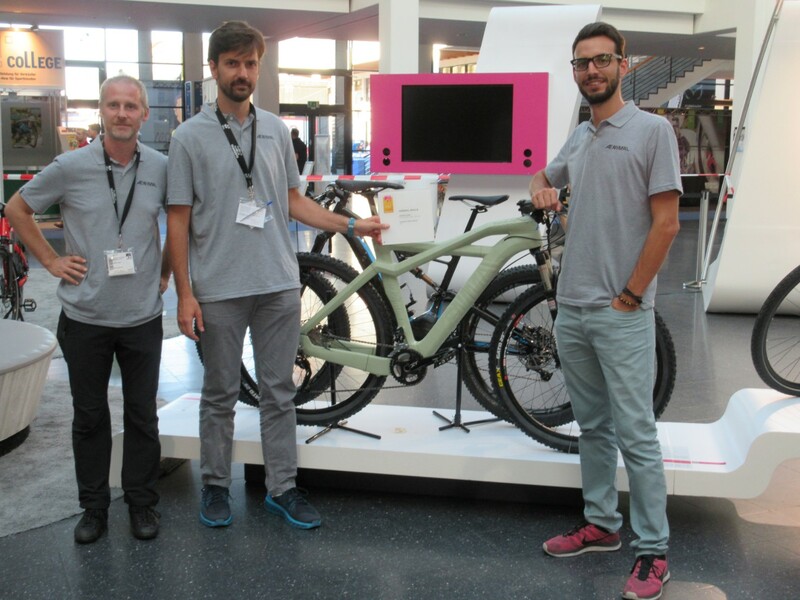 The main target behind the AENIMAL project was to obtain an ecological, environmentally sustainable bike. 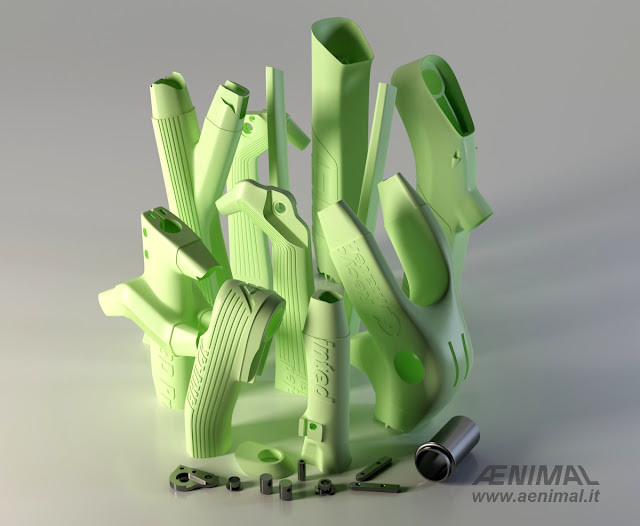 Therefore, they chose to use 3D FDM printing machines with biodegradable, recycled and recyclable PLA biopolymers. A feasibility analysis was conducted to determine the most correct printing processes and printing materials. 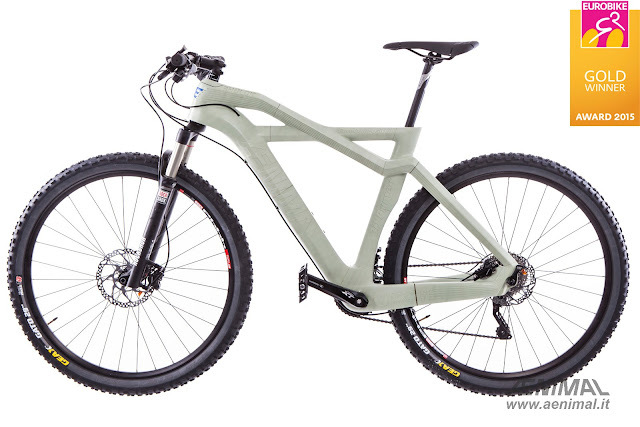 R&D was fundamental to design the right tube shapes and dimensions in order to obtain stiffness and durability. Presently, they are exploring some partners interested in creating a new startup for this incredible bike. Till then, we will have to wait for riding this bike.